What is exploding head syndrome? It is a parasomnia wherein an undesired event comes along with sleep. It usually is in the form of a loud noise that you suddenly hear before falling asleep. Sometimes you imagine the noise in your head as you wake up in the night. What are exploding head syndrome symptoms? 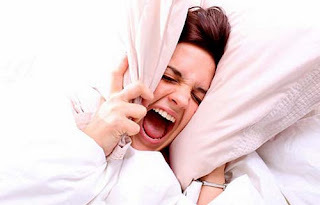 Causes of exploding head syndrome? Is Exploding Head Syndrome dangerous? Exploding head syndrome can be very alarming to someone who heard or read it. Will it cause the head to explode? The truth of the matter is there is no explosion and not possess any danger. However, it can interfere with your sleep. In fact, some people become anxious when going to sleep because they feel like they will experience another episode of exploding head syndrome. EHS is a true condition and it needs to be addressed the best way possible. Exploding head syndrome and sleep paralysis are often linked together. In the case of sleep paralysis, you are feeling awake, but you cannot move your body. What’s common between sleep paralysis and EHS is the changeover between the state of alertness and sleep. If you are experiencing exploding head syndrome and it disrupts your sleep, then the best thing to do is to consult a sleep specialist. This is necessary, especially if exploding head syndrome is making you feel anxious and distressful. 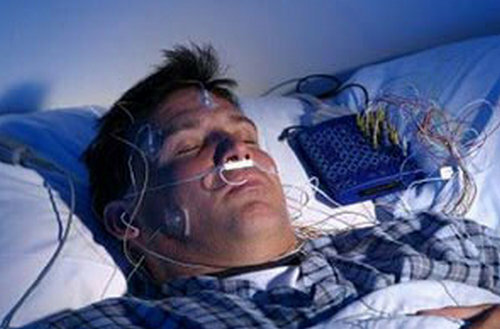 If you suffered from sleep disorder before, then you have to inform your doctor. The same things goes if you have a family history of sleep-related conditions. Trace your sleeping pattern by filling out a sleep diary for 15 days. Give the diary to your doctor to properly assess your sleeping pattern and find out what problems could possibly lead to exploding head syndrome. What is the cure for exploding head syndrome? The root cause of the problem should be addressed first. If the exploding head syndrome is caused by fatigue or stress, the doctor will come up with stress management methods for the patient to try. This includes taking a hot bath before going to bed at night, drinking warm milk, meditation, and yoga. According to American Sleep Association (ASA), some drugs cause sleep disturbances. If you are taking any medications, you should use it moderately to significantly improve the symptoms of exploding head syndrome. If you have tried the relaxation techniques mentioned above, but nothing seemed to work, the best thing to do is to ask medications from your doctor or sleep specialist. Sometimes, the doctor recommend clomipramine, one of the drug of choice for exploding head syndrome. Some studies revealed that clomipramine can help in the treatment and management of exploding head symptoms. You should see a sleep specialist of a doctor if you want to take medications for exploding head syndrome.